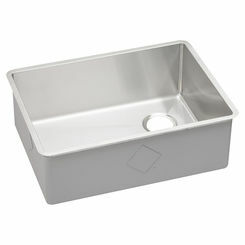 The Elkay ESS21182 Service Stainless Steel Single Bowl Sink. This sink is designed for a wall-mount installation. 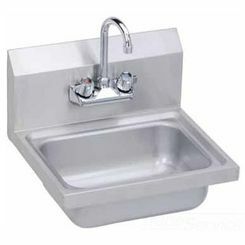 The Elkay ESS21182 Single Bowl Sink is designed for efficiency and functionality. The overall dimensions of this sink are 21" in length and 17-1/2" in width while the bowl is 18" long, 14" wide and 12" deep with a full-length 12” high back-splash. 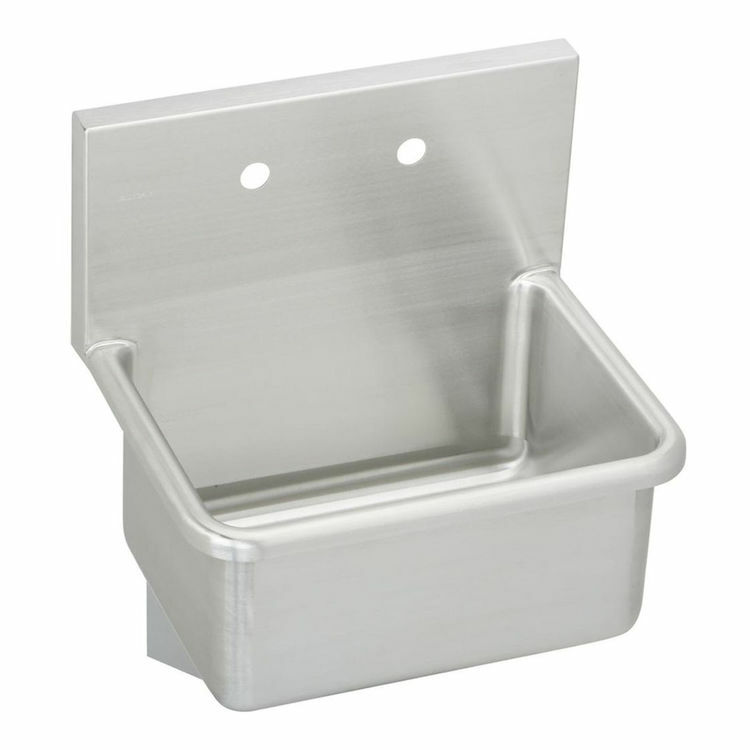 This sink’s corners are coved with 1-3/4” radius on both vertical and horizontal edges with 1-1/2” rolled rim. This sink has 2 faucet holes. This sink is furnished with a wall-hanger and stainless steel support brackets. The 3-1/2” drain opening is located at the center of the bowl (refer to the specification sheet). The exposed surfaces of this #14-gauge sink have been polished to a uniform lustrous satin finish. 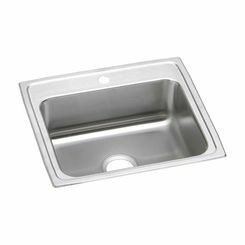 The Elkay ESS21182 Service Sink complies with ASME A112.19.3/CSA B45.4. Made in the USA and covered by a Limited Lifetime Warranty by Elkay, a trusted leader in the industry. Shipping Dimensions 25.9" x 20.2" x 26.9"
Shipping Dimensional Weight 79.80 lbs. Exposed surfaces are hand blended to a uniform lustrous satin finish. 1-3/4 inches (44mm) radius vertical and horizontal coved corners with 1-1/2 inches (38mm) rolled rims.